When you've been in a car wreck, the first thing you need to be thinking about is your health. You always need to make sure that you get immediate medical attention. As you know, you may feel fine at the scene and shortly after. However, once the pain starts, go see a healthcare professional to rule out potentially serious injuries. After your mind moves from your health, it will be focused on your vehicle. How do I get it fixed? What do I do now? Follow this 5 Step Guide to handling your own property damage claim in Texas. If you get stuck along the way or need some help, give us a call. We are here for you. If you haven't already done so, make sure to read my blog article on what to do at the scene when you're in a car wreck. If you are reading this after you've been in a wreck and left a scene, make sure to go outside and take pictures of your vehicle. All sides, all angles, zoomed in, zoomed out. Then, make sure to download the photos and email them to yourself so you don't lose them if your phone crashes or breaks. If you don't have the ability to take photos with your phone, use a digitial camera for the best quality. If you don't have a digitial camera, use any camera to take pictures. You can even use a video camera to take video. Whatever gets the job done. The key is to make sure that you can see all the damage up close and overall compared to the vehicle. Next, you need to call the insurance company of the at-fault driver. There are a couple options here. One is the other driver's insurance, if you have that information. Another is your insurance, which applies if you get hit by a driver that doesn't have insurance or you are in a hit and run. You may need to wait for the police report to come out to figure out insurance. Right now, you are only concerned about property damage. When you call, you follow the steps for setting up a property damage claim. Eventually you will get to an adjuster. You will need to describe to them where this happened, the drivers involved, the time, and the fact you were in a wreck. On a side note, if liability is in dispute, do not agree to give a recorded statement without first calling a lawyer. The next thing you need to do is schedule an inspection with a property damage employee from the insurance company. Sometimes they will have you take it to a specific location, but only agree to this if your vehicle can be safely driven. Regardless, you will schedule an inspection so they can give you their estimate of the damage involved. If the repairs required cost more than the fair market value of the vehicle itself, then your car will be deemed a total loss. Now that you have an estimate from the insurance company, you need to evaluate your options. A key point to remember here is that you need to make sure that the estimate matches what you see as far as damage. If you do not trust the estimate, you have a right to take the vehicle to your own shop to get evaluated. There may be a dispute, but you want to make sure that everything that is broken gets fixed. You also want to make sure it gets fixed properly, which means not using second hand parts. If the vehicle is a total loss, you can elect to sign the title over to the insurance company and receive the fair market value of the vehicle. If you prefer, you can elect to keep the vehicle and do the repairs yourself. They will just make the check a salvage value instead. Once you agree on a set amount, the adjuster will send you a release. At this point, you need to make sure that you are signing away only your property damage claim. Even if you don't believe you are injured, do not sign away that claim. I have had potential clients come into my office complaining that they signed away their personal injury claims only to realize that they were hurt later on. Now there is nothing I can do for them. The key here is to make sure to get evaluated early and often until you feel 100% back to normal. Allow the medical professionals to rule out all potentially serious injuries. Even then, don't sign away your personal injury claim. Only the property damage claim. For property damage claims, you typically don't need a lawyer. As long as you follow these basic steps and make sure you are careful with what you sign, you should be fine. If you run into an issue, reach out to us. There are times that we have to include a property damage claim in the lawsuit for our clients. Last year, I had to file a case including property damage because Fred Loya Insurance simply refused to pay it. If after reading this, you need to know more about personal injury or wrongful death claims in Texas, order my free book called The Essential Guide For Your Texas Injury Case. It will help walk you through many of the questions many of my clients have and guide you to becoming informed about your rights. If you still have questions after reading the information on my website and in my free book, email us or give us a call. We are here for you. 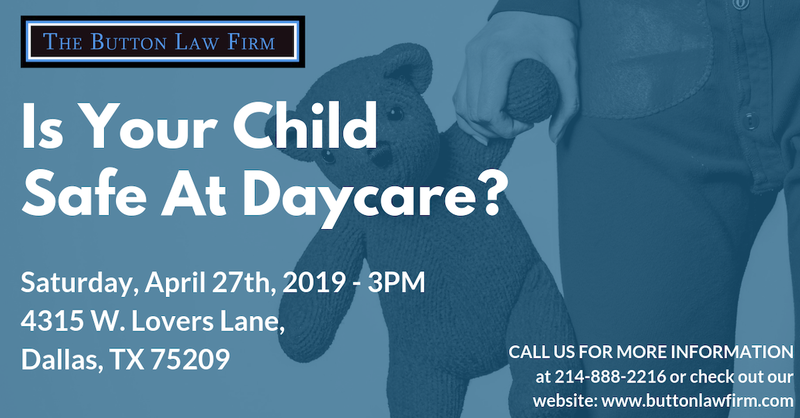 Give us a call at 214-888-2216 if you have any further questions or fill out our "Contact Us" form and we will reach out to you as soon as possible.